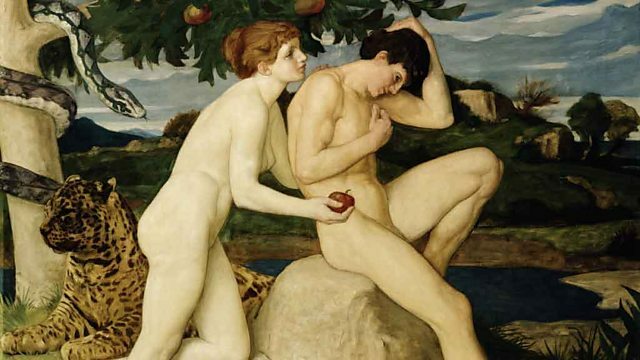 Melvyn Bragg discusses the idea of original sin and its impact on politics, gender and notions of morality in western culture, examining Augustine, Milton, the Masaccio frescoes and Charles Darwin. Melvyn Bragg and guests discuss the concept of original sin and its influence in Christian Europe. Genesis tells the Bible’s story of creation, but it also carries within it a tale of the ‘fall of mankind’. After their primal transgression, Adam and Eve are banished from Eden and cursed by God:“Unto the woman he said, I will greatly multiply thy sorrow and thy conception; in sorrow thou shalt bring forth children; and thy desire shall be to thy husband, and he shall rule over thee.And unto Adam he said, Because thou hast hearkened unto the voice of thy wife, and hast eaten of the tree, of which I commanded thee, saying, Thou shalt not eat of it: cursed is the ground for thy sake; in sorrow shalt thou eat of it all the days of thy life.”What effect has this passage had on western culture, and how did the concept of an ‘original sin’ influence gender and morality in Christian Europe?With Martin Palmer, theologian and Director of the International Consultancy on Religion, Education and Culture; Griselda Pollock, Professor of Art History at the University of Leeds; John Carey, Emeritus Professor of English Literature at Oxford University. A selection of programmes and clips relating to abstinence...and temptation.